Before the bustle leading up to the Christmas and New Year’s holidays, my UTMOST pulsar timing programme paper got accepted for publication in the journal Monthly Notices of the Royal Astronomical Society. The publication can be accessed online via the Astrophysics Data System. In that paper, we report updated timing models for about half the pulsars (205 in total) that we currently observe at the newly refurbished Molonglo Observatory Synthesis Radio Telescope in Australia. Our new positional measurements together with historical data allow us to estimate proper motions for 60 pulsars. This paper gives an overview of the pulsar timing programme and lays the foundation for further publications in that series. Please find below the abstract and some example plots from the paper. We present an overview and the first results from a large-scale pulsar timing programme that is part of the UTMOST project at the refurbished Molonglo Observatory Synthesis Radio Telescope (MOST) near Canberra, Australia. We currently observe more than 400 mainly bright southern radio pulsars with up to daily cadences. For 205 (8 in binaries, 4 millisecond pulsars) we publish updated timing models, together with their flux densities, flux density variability, and pulse widths at 843 MHz, derived from observations spanning between 1.4 and 3 yr. 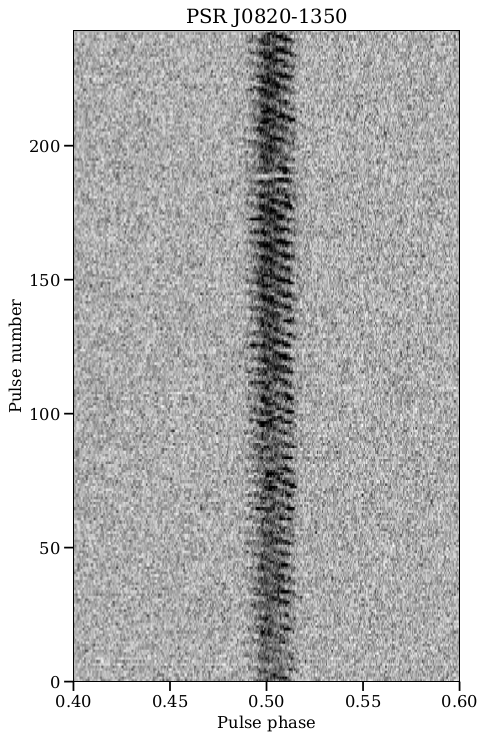 In comparison with the ATNF pulsar catalogue, we improve the precision of the rotational and astrometric parameters for 123 pulsars, for 47 by at least an order of magnitude. The time spans between our measurements and those in the literature are up to 48 yr, which allows us to investigate their long-term spin-down history and to estimate proper motions for 60 pulsars, of which 24 are newly determined and most are major improvements. The results are consistent with interferometric measurements from the literature. 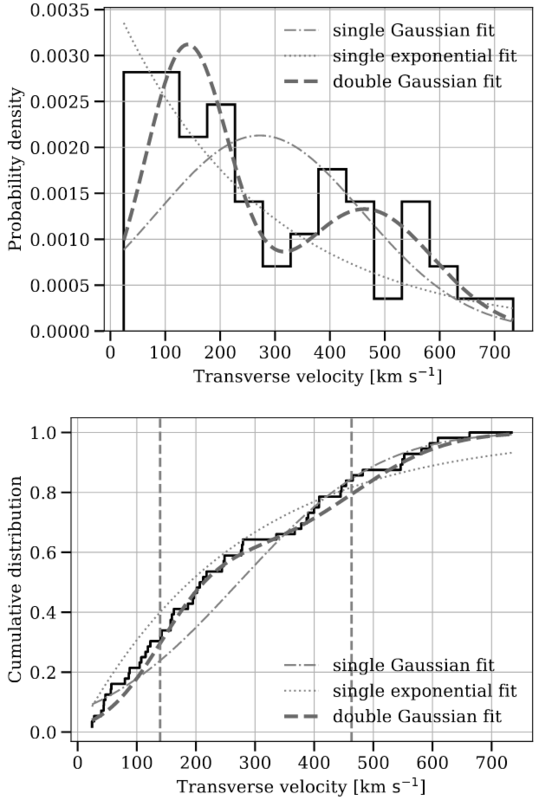 A model with two Gaussian components centred at 139 and 463 km s-1 fits the transverse velocity distribution best. The pulse duty cycle distributions at 50 and 10 per cent maximum are best described by log-normal distributions with medians of 2.3 and 4.4 per cent, respectively. We discuss two pulsars that exhibit spin-down rate changes and drifting subpulses. Finally, we describe the autonomous observing system and the dynamic scheduler that has increased the observing efficiency by a factor of 2–3 in comparison with static scheduling. More details can be found in the manuscript.